Born in 1980 Bergen, Norway. Lives and work in Oslo, Norway. Margreta Stolen with her sharp skill, large scale and subject matter make her the one to watch of her generation. 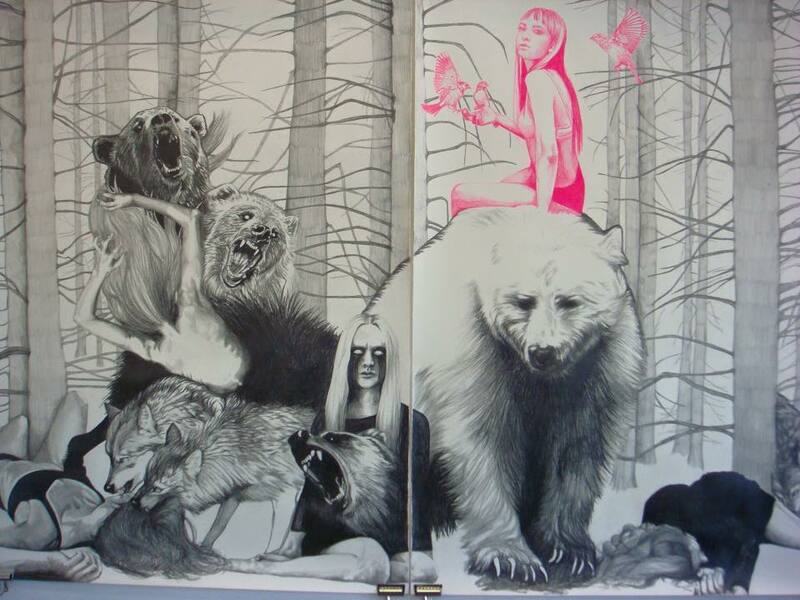 She describes herself as a visual storyteller, and make dystopian and fragmented stories told through drawing. The darker sides of our culture have always fascinated her. Black Metal and horror movies often influence Margreta Stolens work, but she twists the imagery around to portray contemporary feminist view on female identity. Educated at Central St. Martins, London, (2004 – 2007), and Goldsmith College, London, (2015 – 2017). Margreta Stolens work has been exhibited in the U.K., Germany, and had numerous solo exhibitions in Norway. She has received National Exhibition Funding from the Norwegian Arts Council in 2013 and 2014.